Sample of clutch we are making at workshop. 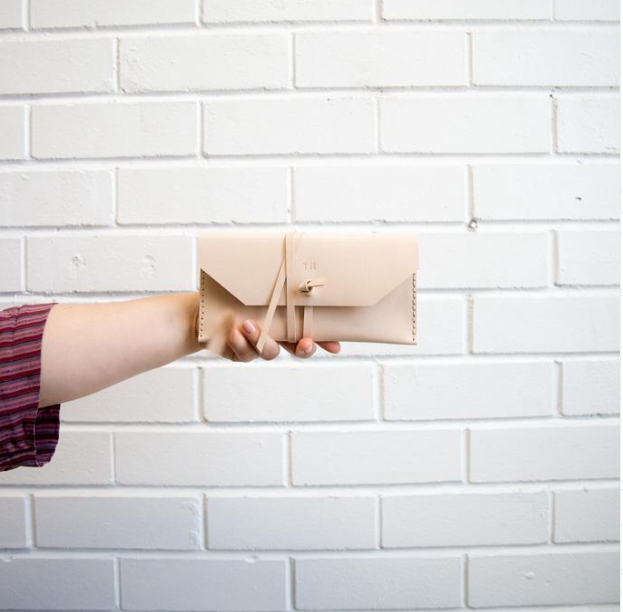 LEATHER STITCHING AND CLUTCH MAKING CLASSES. $20 - to create your own mini clutch, coin purse or pouch.